The most important part of ensuring the correct running of your systems is with regular Air Conditioning servicing and maintenance. EuroCool can offer a planned preventative maintenance (PPM) contract as part of our services. To cover your Air Conditioning maintenance for the year. 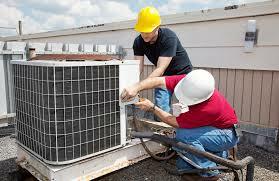 It is essential that your systems are serviced at least annually to maintain the free equipment warranty that comes with your system. Contact us today for more information on 01733 757632. Checking operating temperatures are correct. Complete paperwork to record your service details with the FGAS register. We offer Service plans or one-off servicing available. Maintain your systems 5 year warranty. Call us today to book your service call.